Celebrate the many classic Christmas traditions handed down to us from the Pennsylvania Germans! 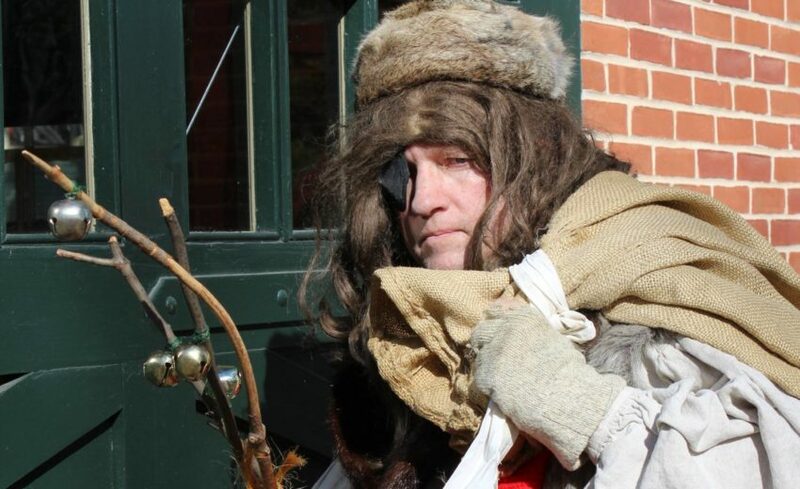 Join us for holiday shopping, a wonderful meal and a visit from the Belsnickel. New for 2018: PA German storytellers, period dancing, interactive activities and caroling on a wagon ride. Lunch includes punch and cookie reception in the museum store and a holiday luncheon in the Historic Landis Valley House Hotel. Doors open at 10:30 a.m.; festivities begin at 11 a.m.
$45 for adults ($40 for Landis Valley Associates members); $35 for children 12 and under. Reservations available until November 30 at 4 p.m. Hours: 10:30 a.m. – 2 p.m.
Register online or contact Jamie Schuring at 717-581-0590 or c-jschurin@pa.gov.